Good morning, here are your Sunday’s Patriots news 10-15, & AFC East Notes. Just a quick question to everyone… is there anyone out there, anyone who DOESN’T know that Tom Brady is 40 years old? Anyone? Bueller? Does every piece on Brady have to have in the first paragraph, “New England’s 40-year old QB” or a reasonable facsimile thereof? Between that and the talk of him approaching the cliff is old folks. Let’s Hear it for the Rivalry: The Patriots and Jets renew unpleasantries for the 117th time on Sunday. There are rivalry games and there are rivalry games. And there is the Jets. The two teams have always had a healthy disdain for one another. I remember speaking with Steve Nelson, former Patriot team HOF-Linebacker and he said from the moment he was drafted, and he walked into the locker room for the first time, there was that palatable hate for the Jets, which exists the same down in NJ. Here’s to the next chapter in that rivalry. Besides the rivalry and first place in the division which is online today, another streak that the Patriots have going since last season is their road record. The Pats have won their last 10 road games dating back to the beginning of the 2016 season. Tom Brady already owns the most wins in NFL history for a QB in both regular and postseason combined but for regular season wins only he’s tied with Brett Favre and Peyton Manning at 186. A win by the Patriots today in Brady’s start will put him over the top at 187 career regular season wins and add another career milestone for #12. 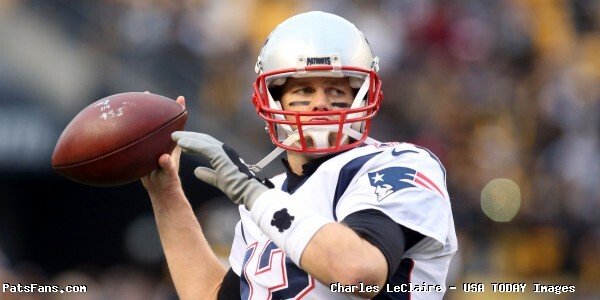 It is interesting to note that Sunday will be Brady’s 241st start. Manning had 266 and Favre 298. It shows the level of success that the Patriots have had with Brady under center with him having essentially almost 2 seasons less than Manning and nearly four less than Favre to reach this milestone. Brady would like nothing more than to set the new career regular season record against the Jets. BTW Brady is 23-6 against the Jets during the regular season. Just in case anyone was wondering. And in a non-story hot take for the week centered around Roger Goodell’s wife who used an anonymous Twitter account to defend her husband. The Twitter account that has since been taken down, didn’t do anything that could be remotely considered controversial, she just defended her husband. Isn’t that what any good wife would do? We’ve been super critical of Goodell and his policies on these pages but making a big deal out of an anonymous tweet that says “Roger is doing his job?” Nope. Hey, at least he has one loyal follower on his side. You go, Jane. But in this case, Bowman could be a nice addition to the Patriots defense. He was one of the best inside linebackers in the game, but injuries in 2014 and last season have taken their toll on Bowman. Despite still being the leading tackler on the Niners, the team is moving away from him and tried to find a trade partner, and barring that gave him his release. That part wasn’t surprising since the Niners are on the hook for his remaining salary the rest of the season. Now any team, including New England could sign him as early as Monday according to his agent Drew Rosenhaus when he’ll choose his next team. They can reasonably sign him for the league minimum for veterans and Bowman can sign anywhere and not lose any cash this season. In terms of fit, while he’s lost a step in coverage, he’s still a very effective run stopper on early downs and has the type of veteran savvy that David Harris possesses. Why would Bowman be a fit over Harris? Well, the Patriots haven’t used him at all this season. He’s played seven snaps in five games. Harvey Langi appears to be in a red-shirt type situation and the team is still weeks away from being able to activate Shea McClellin from IR. It will be something to monitor, especially today to see if Harris plays against his old team. Bill Belichick in his weekly “Belestrator” break down of the Tampa game, he played Dion Lewis’ 31-yard scamper and spoke about Mike Gillislee’s body of work so far this season. Belichick believes that we’ll see Gillislee break out sooner rather than later and mentioned that the backs are running hard and playing better than their numbers may indicate this season. We agree. While fans are clamoring for the return of LeGarrette Blount, the running game’s struggles would be the same…or worse with him back here. It is an offensive line issue as to why the backs have been struggling thus far to get untracked. Today’s game may be a perfect time to get things untracked. With Muhammad Wilkerson either limited physically or out with an injury, the Patriots could make a concerted effort to run the ball. The Jets are allowing 143 yards per game and 4.6 yards per rush. With a unit that is trying to limit the hits on Tom Brady, having an effective ground game goes a long way in alleviating that. Opponents can’t pin back their ears as much and make play-action passing even more effective. Last week there were a few surprises and I picked a couple of upsets that didn’t pan out so I finished with a 9-5 mark. Season Total: 50-27. The Buffalo Bills are on a bye this week and will certainly be watching the Jets-Patriots game with more than just a passing interest. But the majority of the talk centered around the Bills this week and new coach Sean McDermott continues to be QB Tyrod Taylor. The subject still hasn’t changed from when he took over in the 2015 season. Can Taylor lead the Bills to the playoffs? The long and short answer is both yes and no. Now in his third season, Taylor can be a placeholder for Buffalo as long as the running game is going well and the defense plays to the level that they are playing at right now. But can Taylor put a team on his back like a franchise QB and lead them to a playoff spot and possibly playoff wins? No. What you see is what you get. There is a reason the Bills have the 29th passing offense in the league, averaging about 165 yards per game. And it starts behind the center. Taylor hasn’t shown in three years that he’s capable of more than what he is. He can make things happen with his feet to extend the play and reach downfield, as long as the running game is getting big chunks of yardage. Look back over three seasons and see where the Bills running game has struggled and look at how the passing game responded. However, the team’s best chance for success…right now rests with Taylor. As long as Shady McCoy stays healthy and the defense holds up, the Bills will compete every week and have a good shot at making the playoffs. But he isn’t the answer, and the Bills already know that. The Miami Dolphins, even more so than the Bills have struggled to throw the ball this season. Miami currently has the 32nd passing attack in the NFL, averaging just 156.5 yards per game. Jay Cutler who was signed to replace the injured Ryan Tannehill is completing 62 percent of his throws and averaging paltry 5.4 yards per attempt. Worse, he’s thrown for just three touchdowns against three interceptions and his passer rating thru four games is a career-worst 74.8. Miami coach Adam Gase pretty much reiterated what Landry said, but with the weapons that Miami put around Tannehill this summer prior to his injury, the talk was that anything less than a big step up would mean the end of his tenure in Miami. Cutler has done very little in the first quarter of the season and a playoff team from 2016, the Dolphins can’t wait much longer. They face a very good Atlanta team on the road this week. The New York Jets, have a chance to take over first place in the AFC East this week and according to a piece on ESPN by Lenn Robbins, Kony Ealy is itching to play the team he spent training camp with. But for Ealy, this is personal. The Pats traded for him in the offseason. He was expected to be one of their two key free-agent acquisitions on defense along with cornerback Stephon Gilmore. It became clear early on that Ealy and Belichick weren’t going to find common ground. Ealy was released. The Jets signed him. Less than two months later, Ealy and Belichick will stand on opposite sidelines, each keenly aware of how this game could play out. He did get one part of this piece wrong, after stating that the Patriots haven’t protected Brady well, (they haven’t), he wrote the Jets have 15 sacks. They don’t. They have gotten seven so far this season and have allowed 15. Ealy is still looking for his first however and that will be an area to watch. 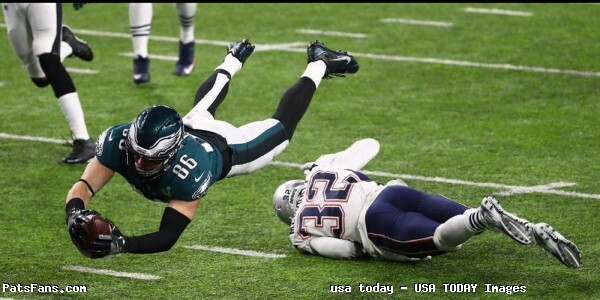 This entry was posted in 2017 Patriots Season, NFL Commentary, NFL News, Patriots Commentary, Patriots News and tagged 2017 Patriots Season, Bill Belichick, Buffalo Bills, Chris Hogan, Danny Amendola, Dion Lewis, Dont'a Hightower, James White, LaGarrette Blount, Malcolm Butler, Miami Dolphins, New England Patriots, New York Jets, NFL, Patriots, Patriots edge rushers, Rob Gronkowski, Tom Brady, Trey Flowers on October 15, 2017 by Steve Balestrieri. In this episode we previewed the upcoming game for the Patriots against the Texans. 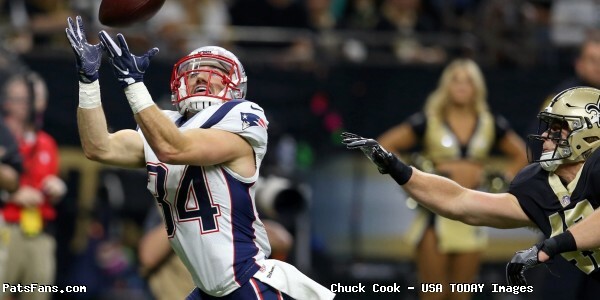 However, we started the show by looking back at the Patriots victory against the Saints. This entry was posted in Patriots Podcast and tagged 2016 NFL Season, Bill Belichick, Houston Texans, LaGarrette Blount, Malcolm Butler, New England Patriots, New Orleans Saints, Patriots edge rushers, Rob Gronkowski, Tom Brady on September 19, 2017 by Russ Goldman. The New England Patriots will have many difficult decisions to make at the end of training camp this summer. They enter the 2017 season fresh off a Super Bowl win and have re-tooled their roster to an even more dangerous (on paper) group that was victorious in February. They seem to have more than made up for the players that they’ve lost in free agency and appear poised for another deep playoff run in 2017. Bill Belichick went against the grain once again and traded most of his draft picks in what was considered a very deep draft and came away with a slew of established veterans. The team only drafted four players in April with two each from the offensive and defensive lines, but even those are with an eye to 2018 as this team appears loaded. First up are the key players lost and then the ones added. This doesn’t take into account their four draft picks and the UDFAs that they’ve signed thus far. While the inevitable injuries will occur, as its part of the game, the team seems in very good shape to handle whatever gets thrown at them in 2017. Our first attempt at an early roster projection was done on July 1 prior to training camp. We’ll highlight any changes we make from our earlier version. New England has an embarrassment of riches at the position. They have three QBs that have started and won games for the team. Garoppolo was the guy everyone had being traded this spring but they held on to him … at least for this season. And can we please cease and desist with the “is Jimmy G injury prone?” talk? He has proven he can take over the team in a pinch and he’ll be watched closely this summer to see where his progression is at. Neither Garoppolo nor Brissett has really shined in the first week of camp. Both have struggled at times and both have thrown a lot of interceptions. Brady has been Brady. The incessant, inane talk of him “falling off a cliff” this year is ridiculous. We’ve been hearing that for 5-6 years. So, keep it up, and one year the writers who spout that stuff off will finally get it right and take victory laps. But for now, he’s as sharp as ever. I was a big fan of the additions of Burkhead and Gillislee this spring. Now, I’m an even bigger fan of these moves. I love the versatility that Burkhead brings to the table. One issue the offense had a year ago, depending on who was on the field, opponents could tell if the play was run or pass. With him and a healthy Dion Lewis? That has changed. Burkhead can run the ball between the tackles and in the passing game, will find those sweet spots in the flat when Brady spreads the field. Gillislee has shown that the power running game will look a bit different this year, but may be better. He hits the hole quick and he’s a faster, one-cut runner. Foster is still the tough cut here. He’s getting a lot of work with the backups but is a very competent receiver with speed and quickness out of the backfield. Strictly a case of numbers for Brandon Bolden who is a core STs player. Daniels is a great candidate for the practice squad. A healthy Gronkowski is a wonderful thing to behold. He and Allen are locks. The real battle comes down to the number three slot. We originally had O’Shaughnessy beating out Lengel on the basis of his blocking and STs skills. But he’s shown soft hands and the ability to find the open spots on the field. Hollister is an intriguing case as he’s more of a “move” tight end that can stretch the field. He’s getting a ton of reps with the top STs unit. What does that mean? They want to keep him around and he’s a primary practice squad candidate. Brandin Cooks has been everything as advertised. His speed is incredible to watch. Imagine if Tom Brady didn’t have diminishing arm strength (sarcasm). He’s going to be fun to watch in this offense. 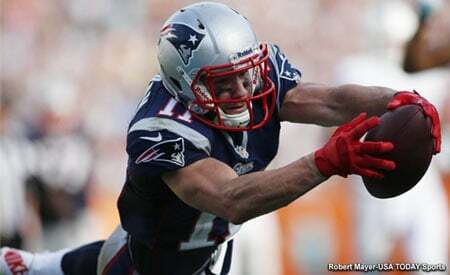 Edelman and Hogan seem in mid-season form and the top three are going to be a versatile, dynamic group. Mitchell and Amendola are working with the training staff so they haven’t practiced but there are no worries there. Carr has been electrifying at times as he’s building a nice chemistry with Jacoby Brissett when working with the backups. He seems to make a big play in every session and the team may have to get creative to keep him around. 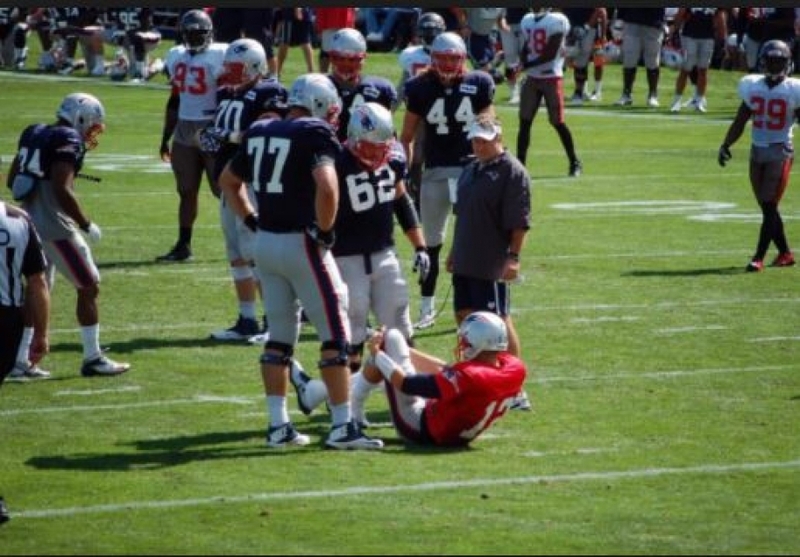 Center David Andrews and guards Mason and Thuney were all starters last year and are locked. It comes down to Ferentz and Karras and so far, I haven’t seen anything to change my earlier call of the 2nd year guy sticking around. The starters and the swing tackle from 2016 (Solder, Cannon, and Fleming) return this season. Garcia isn’t that big but plays with a bit of a mean streak that I like. McDermott is in a red shirt year and will go to the practice squad. 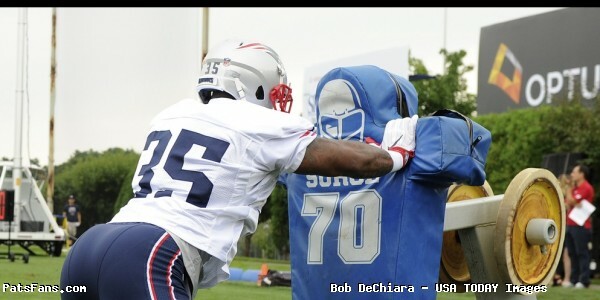 Alan Branch is on PUP to begin camp but he’s a lock. Brown has been steady but unspectacular as has Valentine. Guy was a nice pickup from Baltimore and projects as an interior guy with New England. 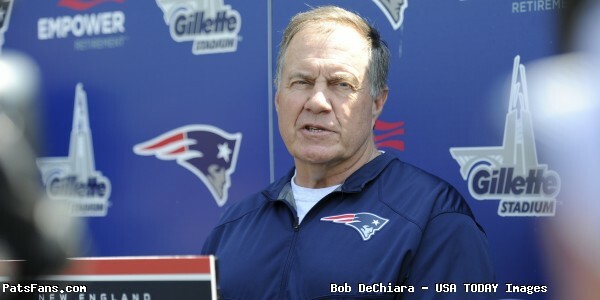 Bill Belichick spoke about his versatility and dependability before practice on Tuesday. With Rob Ninkovich’s retirement, this puts Ealy and Flowers firmly in the starters position with the two rookie draft picks Wise and Rivers as the backups. Depth is definitely thinner now. Combined the team lost 26 years of experience at the position. Grissom is getting a ton of reps with the starting unit to see if he can break thru in season #3. He may be kept or the team may opt for another linebacker. Wise has really turned some heads so far in camp. He’s shown good explosion off the ball and the strength to hold up and set the edge. Can he keep it going? We’ll see. Rivers has struggled a bit with the speed and physicality of the NFL game which isn’t a surprise given he’s a rookie from Division 1AA. I had one fan DM me asking if he was a bust… Really? After five practices? Relax folks, he’s going to be fine. Hightower is on PUP but should be ready soon, he’s been out at practice in sweats, usually a good sign. Harris looks like he’s still a thumper inside and with Roberts gives them good depth in the middle. 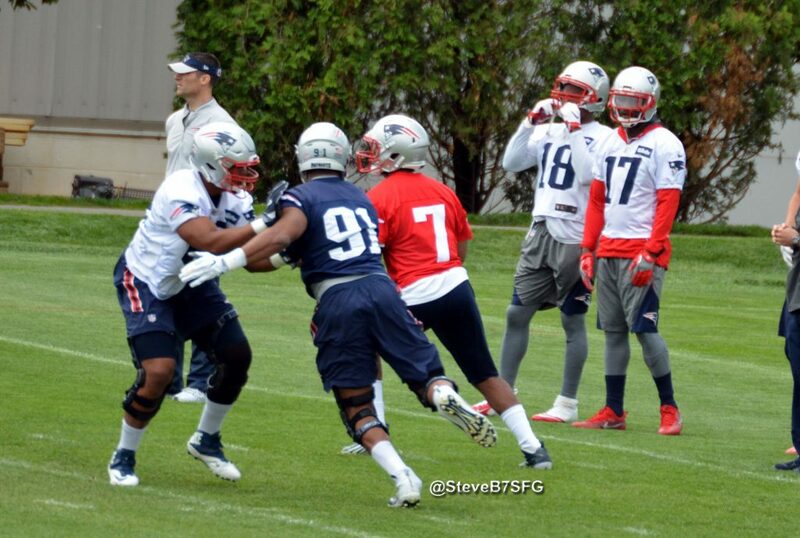 This will allow the team to move Hightower outside more where he can be more of a disruptor. Van Noy and McClellin will probably be asked to fill in at times as edge rushers (Hightower as well) so the team may opt for an extra linebacker. Harvey Langi is a good sized, athletic kid who can play inside or outside and even as DE in a pinch but this unit will have to work out some roles during the season. This has been a fun group to watch. Butler and Gilmore have played as advertised. Jonathan Jones and Eric Rowe have both played well thus far in the slot. This may be a case where they’ll use both depending on matchups. 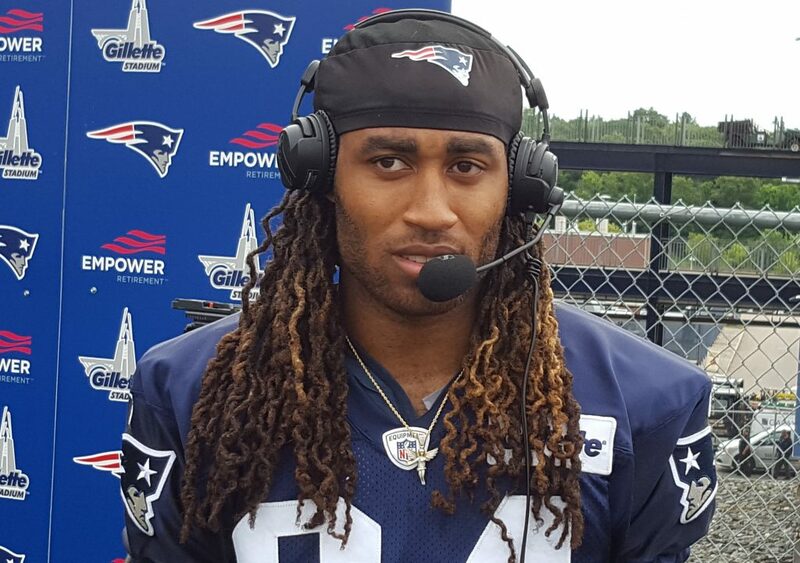 Stephon Gilmore looks to be a good fit in the Patriots defense. All of the others have played well. It is strictly a numbers crunch. If they had the slots they would keep them all. Moore has had a great nose for the ball and has made some nice plays so far. Richards leap frogs Jones from our earlier projection as he’s played fairly well so far and Jones, who we are really high on, has been working with the training staff on the lower fields thus far. 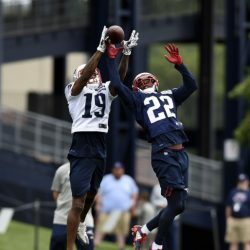 The top three of Chung, McCourty, and Harmon have been solid. Harmon had an injury scare the other day and missed Tuesday’s practice but it isn’t considered serious. A good solid group who has had a good camp thus far. Allen had a weird sequence of two straight shanked punts on Saturday but that was an anomaly. The Patriots under STs coach Joe Judge have a very solid core group and they should be fine in 2017. Gostkowski is looking for a rebound year and has looked his normally solid self in camp. They will need a backup long snapper now, something that was always covered by Ninkovich in the case of an injury to Cardona. Slater is still a marvel and has tremendous speed for a guy in his 10th season. This entry was posted in Patriots Commentary, Patriots News and tagged 53 Man Roster Projection, Bill Belichick, Brandin Cooks, Chris Hogan, Danny Amendola, David Harris, Dion Lewis, Dont'a Hightower, James White, Jimmy Garoppolo, Julian Edelman, LaGarrette Blount, Malcolm Butler, Pat Chung, Patriots, Patriots edge rushers, Patriots Training Camp Photos, Rob Gronkowski, Rob Ninkovich, Stephon Gilmore, Tom Brady, Trey Flowers on August 3, 2017 by Steve Balestrieri. 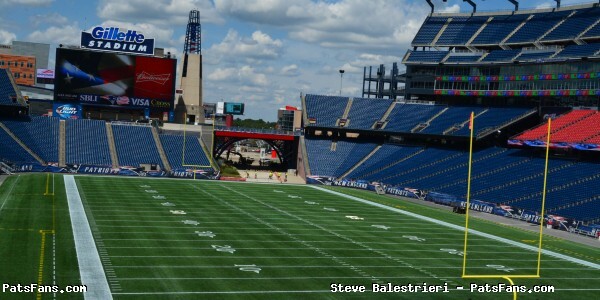 The Patriots get back to work here at Gillette Stadium on Saturday morning and now is when the work really starts. The pads come on for the first time today and as Bill Belichick so aptly put yesterday, now is when the evaluation begins. Will Rob Ninkovich Show Up? We’ve been hearing the rumors about Ninkovich possibly going to retire and the only official word we’ve heard from the Patriots is that Nink is dealing with a personal issue. If Ninkovich indeed does decide to call it a career it will be a definite blow to the defense. Although he’s dealt with a suspension and some injuries a year ago which affected his production, Ninkovich remains one of the best Patriots players at crunch time. He’s always been at his best when the games are on the line. He may have lost a half-step last season but he’s still a stalwart on the defense and a versatile one to boot. He can line up as a defensive end, as a linebacker and even serves as the team’s emergency long snapper in a pinch. 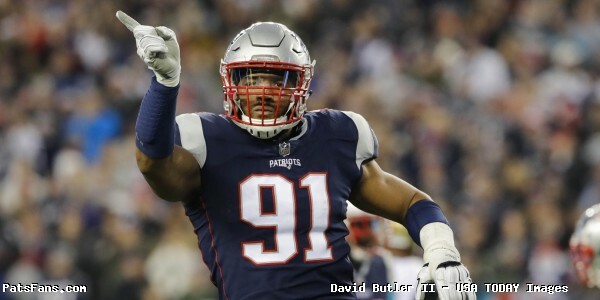 We’ll be watching for the players coming out on the field this morning to see if he’s back….If he does retire, it would leave Kony Ealy and Trey Flowers as the probable starters with rookie draft picks Derek Rivers and Deatrich Wise with veteran Geneo Grissom. 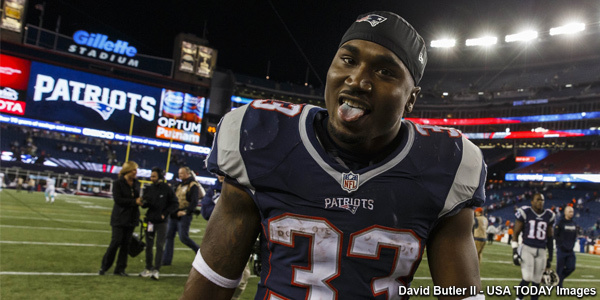 How will the Power Running Game Look: The Patriots parted ways with LeGarrette Blount this spring and brought in Rex Burkhead and Mike Gillislee. Those are the two backs that are expected to pick up the slack of Blount’s departure and provide the team the heavy running between the tackles that they’ll need to keep defenses honest in 2017. 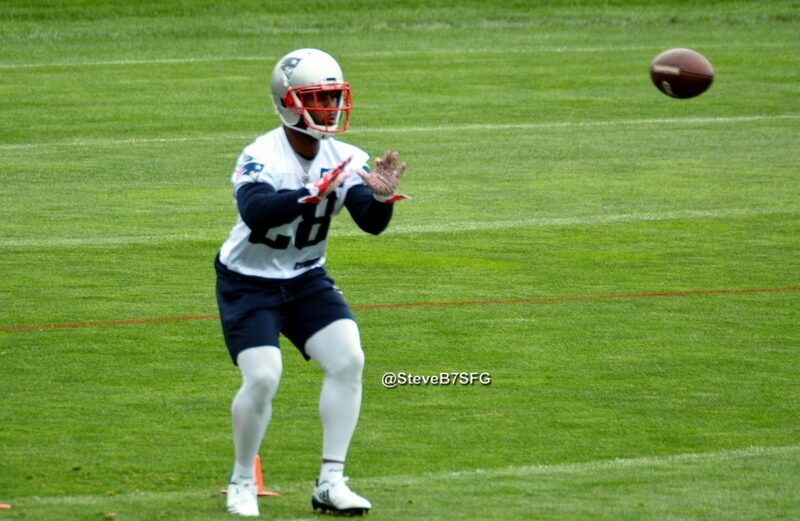 James White and Dion Lewis are the primary passing back options along with D.J. Foster and veteran Brandon Bolden who can jump in for the occasional carry but the new players are the ones to watch today. 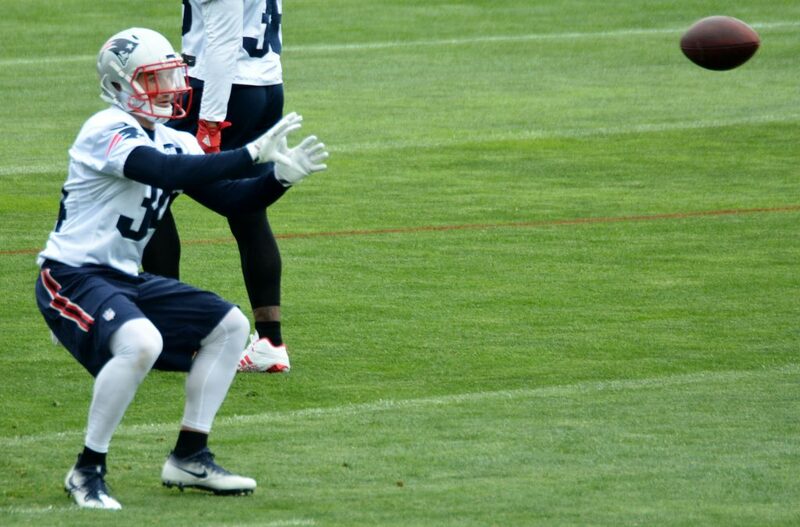 With the pads coming on today, Burkhead and Gillislee are the guys to watch. I wouldn’t be surprised to see the team open in some sort of goal line drill today to set the tone for the day. UDFA rookie Leshun Daniels is a dark horse to make the roster and he is also in that power back role. It will be curious to see how he performs as well. Can the Young Players Keep up the Pace? We wrote about how Austin Carr had turned heads in the opening days of camp with some nice catches and showing good hands. Of course, Bill Belichick pooh-poohed the entire episode during his Friday presser but the fact remains that Carr didn’t do anything to hurt his chances during the first two days of camp. Besides Carr, the Hollister twins, Rivers and Deatrich and others in their first Patriots training camp will be guys to watch now that the heat gets turned up. As Belichick said, the teaching part will continue but now the evaluations begin. He should be making his way to the podium shortly and after that Saturday’s practice will begin. This entry was posted in Patriots Commentary, Patriots News and tagged 53 Man Roster Projection, Austin Carr, Bill Belichick, Deatrich Wise, Derek Rivers, Kony Ealy, LaGarrette Blount, Mike Gillislee, New England Patriots, Rex Burkhead, Rob Ninkovich on July 29, 2017 by Steve Balestrieri.